From Good Smile Company. 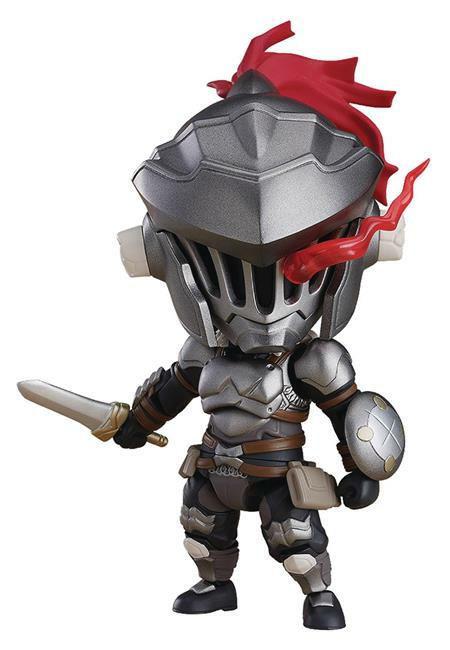 From the popular anime series Goblin Slayer comes a fully articulated Nendoroid of the odd adventurer who only accepts goblin extermination quests: Goblin Slayer! His specialized armor for fighting goblins has been faithfully recreated in Nendoroid form. Translucent parts have been used to create an optional part of his distinct eye glint effect! He also comes with a sword, a torch and a blood-dripping club. A goblin figure is included as well, allowing you to recreate your favorite battle scenes from the show!